Battle that required tactics to win is something that I sadly missed in Try that relayed too much on OP super moves, so this return to basics is actually welcomed.Skill instead of spectacle. It's nice to see machines from AGE(RGE-G2100C Clanche Custom is hugely underappreciated unit)and G-Reco receiving some love, also seeing custom black RGM-89DEW EWAC Jegan made my Jegan lover heart happy. Build Fighters combined with SAO? Count me all kinds of in! This looks awesome as all hell. Can't wait for the show to start. This team battle was very sweet. Count me in! What a strong first episode! The battle was very good. Riku has some skills, and his friend isn't bad either; the rules have changed a bit, too. I'm hyped now! I think that mysterious girl is the same as the one in Gundam Build Fighters Try: Island Wars: daughter of the prince (king maybe now) of Arian. If not, then probably granddaughter. Glad to see Riku has his priorities in order. Gunpla Battle is way more important than soccer. 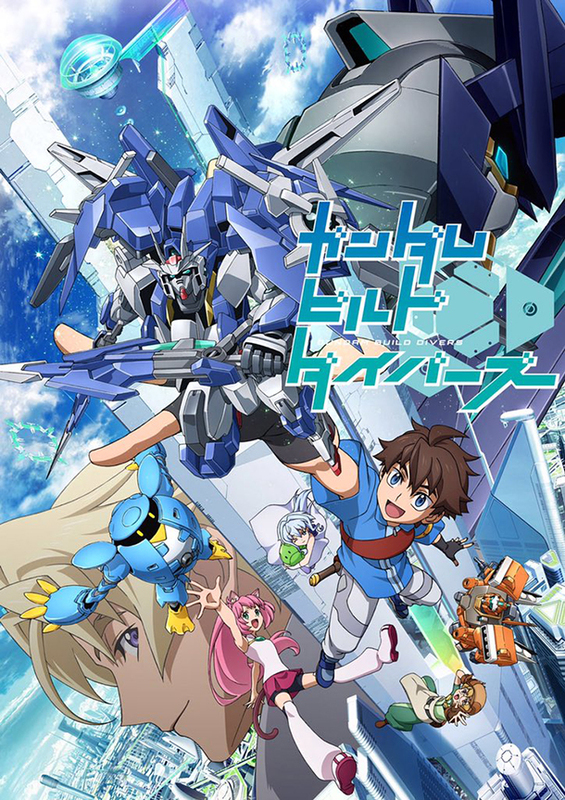 We have definitive proof that Build Fighters universe is Gundam equivalent of Valhalla. Riku is reincarnated Mika, no doubt about it, just look at him. I see the potential for entertaining adventure in this show.I hope it will deliver in the long run. I really like this show, it is extremely fun to watch. Another good ep. These new modes of playing Gunpla are pretty interesting. Can't wait to see how they will be utilized. I love that Ogre GNX. Add that to the ever growing list of gunpla I need. Interesting plot line here with the Mass Drivers. I hope they develop it more. A bit refreshing change of pace.